Acute subdural haematoma is a well-entrenched nosological entity implying subdural collection of blood following acute head injury. Pathologically, it is usually associated with or, for that matter, secondary to cerebral contusion and laceration. 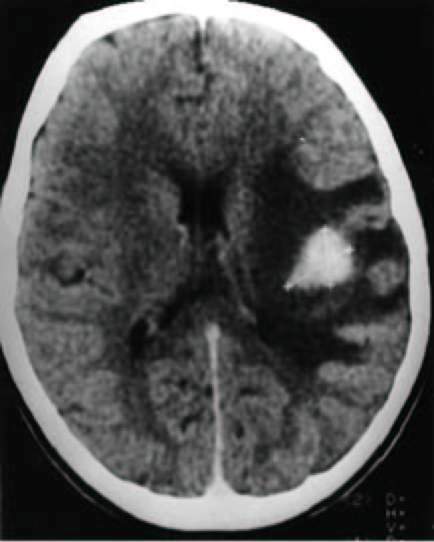 Based on cumulated experience, clinical and pathological studies it is proposed that, for too long the neurosurgeons have put emphasis on the clot rather than the totality of the pathological anatomy and that they have focused their therapeutic strategy on removal of the accumulated blood, unmindful of the associated parenchymatous lesion. Not surprisingly, such attempts have been associated with a very high mortality. 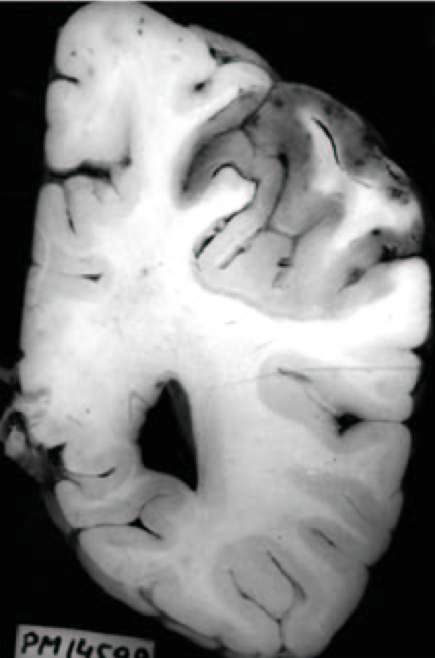 On the basis of nearly four decades of personal experience and critical review of the literature, evidence has been provided that to reduce the mortality associated with this condition, it is necessary to evolve a strategy, not only to evacuate the blood but comprehensively deal with the associated parenchymatous lesions and the cascade of secondary insult to the underlying brain. Over the last few years, spinal injuries have been classified depending upon their causative mechanism and on the basis of three column concept of the structure of vertebral column. The concept of primary and secondary injury has laid more stress on prevention and treatment of secondary injury. Methyl prednisolone still remains the drug of choice for prevention of secondary injury. Spinal injury involves all organ systems of the body depending on the level of lesion. Immobilisation of injured spine and maintenance of adequate airway after spinal injury need immediate attention. Orotracheal intubation under general anaesthesia, with manual in-line traction, is still considered the best method. Hypotension, hypertension and hyperglycaemia should be avoided during anaesthesia. Care should be taken to avoid effects of autonomic hyper reflexia. Spinal cord functions should be monitored and, if required, induced hypotension can be used with adequate monitoring. Abnormalities of dystrophin are a common cause of muscular dystrophy and testing for dystrophin gene or protein has become a part of routine diagnostic evaluation of patients who present with progressive proximal muscle weakness, high serum creatine kinase concentrations, and histopathological evidence of a dystrophic process. Patients who have no dystrophin abnormalities are assumed to have autosomal recessive muscular dystrophy. In a family consisting of 5 sibs, 2 mentally normal brothers presented with abnormal gait and protrusion of chest and hips. Muscle biopsy from one of them showed dystrophic changes and reduced patchy binding of dystrophin. No detectable deletion was observed in the patient's DNA and his brother with cDMD probes. Dystrophin associated proteins, beta-dystroglycan showed discontinuous immunostaining in the sarcolemma and alpha-sarcoglycan (adhalin) was totally absent, while beta-, gamma-, and delta-sarcoglycans were highly reduced. Immunoblot analysis showed dystrophin of normal molecular weight but of decreased quantity, beta-dystroglycan was reduced by about 37% while alpha-sarcoglycan was completely absent. This study is a first attempt for a systematic clinical, genetic and molecular investigation of the autosomal recessive LGMD in India. Fourteen patients with severe neuroparalytic snake envenomation, resulting in acute type II respiratory failure, admitted to respiratory critical care unit for mechanical ventilation during one year period, were studied. Ventilatory requirements, amount of anti snake venom (ASV) infused, period of neurological recovery and hospital survival were evaluated. All patients had severe manifestations such as ptosis, extraocular muscle paresis and limb weakness along with dyspnoea. Seven patients (50%) had additional complaints of dysphagia and dysphonia. ASV was administered to all, with a median requirement of 900 ml. Mechanical ventilation was required for a median duration of 17 hours and all except one patient, who had suffered irreversible hypoxic cerebral injury prior to resuscitation, survived with complete neurological recovery. We conclude, that the timely institution of ventilatory support and anti-venom therapy in such patients, is associated with an excellent outcome. With improvements in the ballistic physics, patient evacuation, imaging, neurosurgical management and intensive care facilities, there has been overall improvement in the survival of patients with missile injuries of the brain. Patients with retained intracranial fragments have been followed up and the sequelae of such fragments were analysed. We present our observations in 43 such patients who had survived low velocity missile injuries of the brain during military conflicts and had retained intracranial fragments. Over a follow up period of 2 to 7 years, suppurative sequelae (brain abscess, recurrent meningitis) were seen in 6 patients, two of these progressing to formation of brain abscess. Three patients developed hydrocephalus and one seizures. Patients with orbitocranial or faciocranial wound of entry had a higher incidence of suppurative complications (3 out of 4), while those with skull vault entry had a lower incidence of such sequelae (7 out of 30). Nine patients were lost to follow up. Other determinants of suppurative complications were postoperative CSF leak and intraventricular lodgement of the fragment. Stroke is one of the most common causes of epilepsy in elderly. However, there have been very few prospective studies to define the incidence, pattern and outcome of seizures in stroke. Most studies are based on retrospective analysis of hospital records. 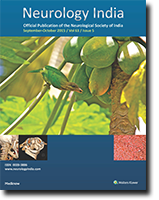 Hence, we planned this prospective study to see the clinical, radiological and electroencephalographic characteristics of seizures in stroke and their outcome, from a north Indian tertiary care centre. Over a span of approximately 6 years, 269 consecutive patients with stroke were studied and followed up. Thirty-five (13%) of these developed seizures, primarily related to stroke, during mean follow up period of 15.9 months. Twenty of these had infarctions while 15 had haemorrhages. Involvement of the cortical region was seen in most of the patients with seizures. In these patients, 86% of the lesions involved cortical areas exclusively or in addition to subcortical areas on CT scan of the brain. Twenty-seven (77%) developed early seizures, two third of them had immediate post-stroke seizures. None of the patients with early onset seizures developed recurrent seizures or epilepsy, while 50% of late onset seizures developed epilepsy. No specific EEG pattern was found in those who later developed epilepsy. In the present study, early onset seizures after stroke were rather common and did not affect outcome and did not recur even when not treated with anti-epileptics. Late onset seizures were less common but were associated with recurrent seizures. Heterotopic ossification (HO) is an important cause of restriction in range of movements and secondary motor disability following neurotrauma, orthopaedic interventions and burns. It has not received focussed attention in non-traumatic neurological disorders. In a prospective study of 377 patients, on medical problems in neurological rehabilitation setting, 15 subjects (3.97%) had neurogenic heterotopic ossification. Their clinical diagnosis was: transverse myelitis (7), neurotuberculosis (4), traumatic myelopathy (2) and stroke (2). Hip (10), knee (4) and elbow joints (1) were involved. The risk factors included urinary tract infection (15), spasticity (6), pressure sores (13) and deep venous thrombosis (DVT) (6). The initial diagnosis was often other than HO and included DVT (3), haematoma (2) and arthritis (2). ESR and serum alkaline phosphatase levels were elevated in all but one subject. 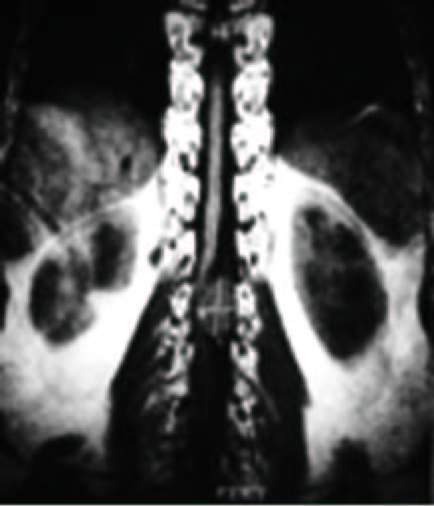 The diagnosis of HO was established using X-rays, CT Scan and three-phase bone scan. Following treatment with non-steroidal anti-inflammatory drugs, the range of motion improved in only four patients. HO resulted in significant loss of therapy time during rehabilitation. High index of suspicion about this complication is necessary for early diagnosis and prompt intervention. 78 autopsy proven cases of infective endocarditis (IE) seen during 1983 to 1995 were retrospectively reviewed. 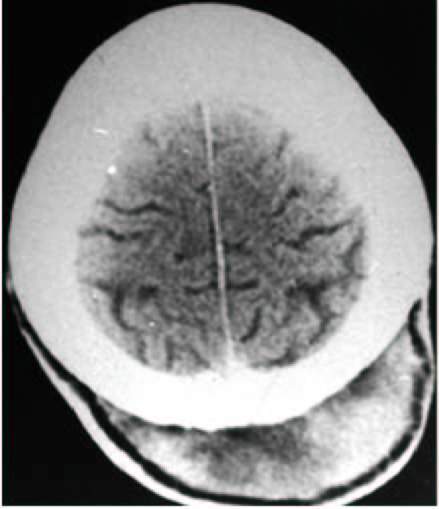 The brain was available for examination in 44 cases. In the remaining cases, brain was not examined because examination of it was not requested due to lack of neurological findings. Brain lesions were observed in 35 out of 44 cases of IE. Assuming remaining 34 cases to be without brain lesions, the brain involvement in IE would be 44.87% (35 out of 78 cases). Mean age of all cases of IE and those with brain lesions was similar i.e. 26.5+/-16.6 years and 26.6+/-13.06 years respectively. Largest number of cases with neuropathological lesions were associated with normal valve IE (48.57%). Mitral valve was most commonly involved in cases with CNS complications (57.14%) (p<0.05). The various types of brain lesions were infarction (68.57%), haemorrhage (57.14%), cerebral micro-abscess (31.42%) and focal meningitis (14.28%). 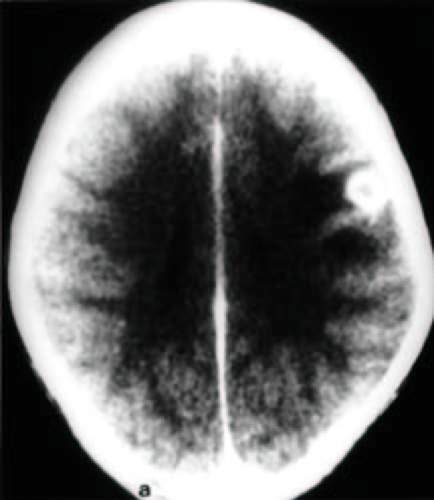 More than one type of lesion was observed in 19 cases, indicating complicated nature of brain lesions in fatal cases of IE. 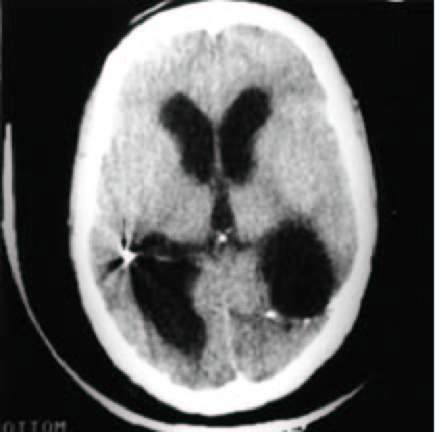 Left sided middle cerebral artery (MCA) territory was the commonest site of infarction and haemorrhage. Staphylococcus aureus appeared to be the most common organism in fatal cases of IE. Normal valve IE with or without CNS complications constitutes a significant group in India and is different from the west as far as the predisposing conditions are concerned. Sleep apnoea syndromes have been known since long, and frequently the presenting symptoms are neurological in nature. However, these disorders have not been systematically studied and reported in the Indian literature. Out of 12,000 neurology outpatients seen by authors in 2 years, 60 had primary sleep disturbances. All these 60 patients underwent clinical evaluation and video EEG polysomnography. In 8 out of 60 (13%) patients, sleep apnoea was documented. 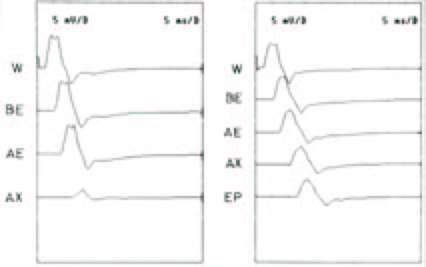 Five patients had obstructive sleep apnoea, 3 had mixed sleep apnoea and none had pure central sleep apnoea syndrome. Three-fourths of the patients were obese (mean weight 82kg) middle aged males (mean age 46.3 years). The main symptoms encountered were excessive daytime somnolence and snoring. The symptom severity was found to correspond directly with the duration of symptoms as well as obesity. Sleep apnoea syndromes must be seriously considered and documented in all patients complaining of excessive daytime somnolence. The present study has been undertaken to describe brainstem auditory evoked potential (BAEP) changes in tubercular meningitis (TBM) and correlate these with CT scan and MRI findings. 24 patients with TBM were subjected to clinical evaluation and CT scan or MRI study. Outcome was defined by 3 month Barthel index score (BI) into poor (BI<12) and good (BI>or=12). The mean age of patients was 26.4+/-14.9 (range 10-62) years, 8 of them were females. Sixteen patients were in stage III, 5 in stage II and 3 in stage I meningitis. 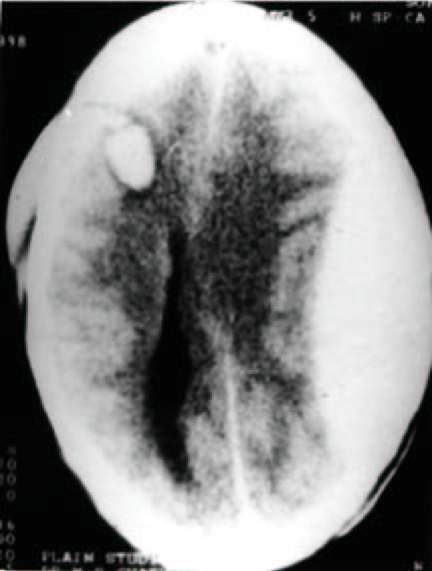 CT scan revealed hydrocephalus in 16, exudate in 9, infarction in 12 and tuberculoma in 3 patients. Brainstem was involved in 3 patients (2 infarction and 1 granuloma). BAEPs were unrecordable in one patient and abnormal in 15. The absolute latencies and inter peak latency (IPL) however were not significantly affected. The wave V/I amplitude ratio was abnormal on 12 sides. The BAEP abnormalities were not related to the stage of meningitis, level of consciousness, any specific CT or MRI changes or outcome at 3 months. Two hundred patients with supratentorial glioma; astrocytoma (pilocytic, fibrillary, gemistocytic) 82, mixed glioma (oligoastrocytoma) 46, oligodendroglioma 8, malignant (anaplastic) astrocytoma 33 and glioblastoma multiforme 31, surgically treated for the tumours and followed up for one to sixteen years, were retrospectively analysed for the incidence of pre and postoperative epileptic seizures. 122 patients (61%) had seizures preoperatively. 62 (50.8%) of them had at least one or more seizures during follow up. Seizures were persistent in 22 patients. Doubtful, or one or two minor seizures occurred in 19 cases. Six patients in this group had seizure only at the time of CT confirmed recurrence, after a seizure free interval of one to nine years. Amongst 78 patients who did not have seizures preoperatively, 24 (30.6%) developed seizures during the postoperative follow up period. Recurrent attacks were reported only by 5 patients while 15 patients had seizure(s) only at the time of recurrence of tumour. Two patients had a few seizures in the early postoperative period and none thereafter, while doubtful seizures were reported by two patients. Eighty-five women with epilepsy were followed up for reproductive functions under the registry of epilepsy and pregnancy. 32 of them had completed the pregnancy. Their mean age was 26 years and mean seizure frequency was 0.7 during current pregnancy. Nineteen of them (59.4%) had generalized epilepsy. Nine of them were not on any anti epileptic drugs (AED), 23 women were on various AEDs, 19 being on monotherapy. Only 40% of the women were taking folic acid during pregnancy. Pregnancy ended as spontaneous abortion in one patient. Nearly one third required cesarean section. Majority (87.5%) had term babies. Three (10.7%) babies had birth asphyxia. Six babies (21.4%) had low birth weight. Congenital malformations were detected in four cases (12.5%). 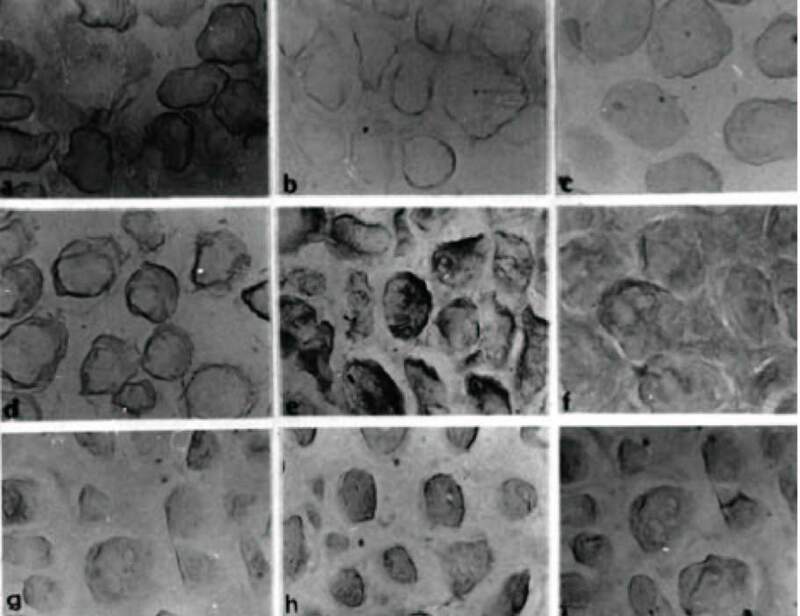 Malformations included neural tube defects, talipes equinovarus and other minor anomalies. These babies were exposed to sodium valproate, carbamazepine or phenobarbitone. The risk of malformation was significantly greater (p<0.05) when the mother had generalized epilepsy. The odds ratio for risk of malformation was much higher with sodium valproate (6) than that with carbamazepine (1.2) or phenobarbitone (0.8). Majority of women with epilepsy had safe pregnancy and childbirth without any aggravation of epilepsy. A young lady with residual polio, using axillary crutch since early childhood, presented with tingling, numbness and weakness in ulnar nerve distribution of five months duration. 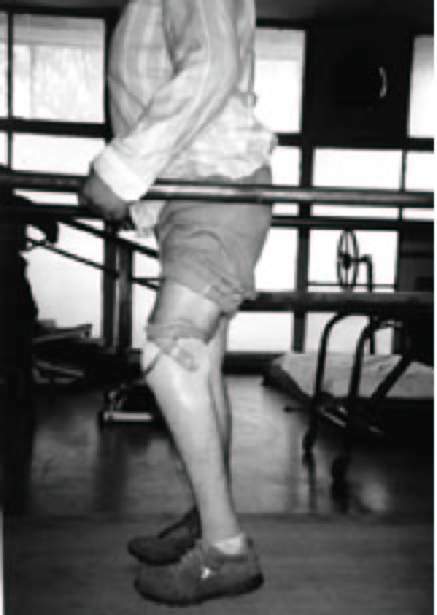 Ulnar motor conduction study revealed proximal conduction block near the axilla, at the point of pressure by the crutch while walking. Distal ulnar sensory conduction studies were normal but proximal ulnar sensory conduction studies showed absence of Erb's point potential. These findings suggested the presence of conduction block in sensory fibers as well. Proper use and change of axillary crutch resulted in clinical recovery and resolution of motor and sensory conduction block. 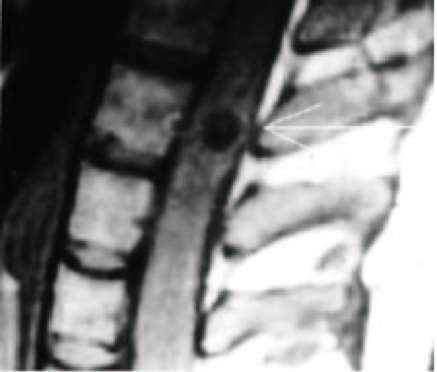 Three cases of dorsal intramedullary cysticercosis presenting as spastic paraparesis or paraplegia are reported. A definite preoperative diagnosis, using MRI, was made in two cases while in the third it was strongly suspected. One paraplegic patient regained full function whereas in the other two the deficit persisted even after successful cyst excision. The pathogenesis and recovery are discussed in the light of the MRI findings. The value of the enzyme linked immunotransfer blot (EITB) assay in avoiding an invasive diagnostic procedure in a patient with an atypical solitary cerebral cysticercus granuloma is presented. Large quantities of antigen in an immunoassay system impair antigen-antibody binding, resulting in low antigen determination. This is called the 'high dose hook effect'. We report this phenomenon in a patient with a large macroprolactinoma. In this patient, the correct estimate of serum prolactin (PRL) was obtained only after appropriate dilution of serum. We suggest that in order to avoid the high dose hook effect, the serum PRL be estimated in appropriate dilution in all patients with large pituitary tumours. This is particularly important when the clinical suspicion of high PRL is strong, as in women with amenorrhoea-galactorrhoea and men with long standing hypogonadism. A case of dermatofibrosarcoma protuberans of scalp involving the underlying bone, operated after recurrence by taking safety margin of 3 cm and skin deficit covered by transposition flap, is being reported. Modality of treatment has been discussed. A 37 year old male presented with left hemiplegia, left below knee amputation, right partial foot amputation and claudication pain. The limitations in the rehabilitation management in such a high-risk patient are multiplied. The appreciable benefits from supervised rehabilitation and judicious goal setting can help in improving the functional status and retard the disease progression in such patients. This study highlights that coexisting cerebrovascular, coronary and peripheral vascular diseases can pose a real challenge and can result in multiple disabilities. Carotid angioplasty and stenting is increasingly becoming a safe and efficacious modality of treatment in the management of carotid artery stenosis. Although atherosclerosis is the predominant cause of this morbid disease, Takayasu arteritis assumes special importance in south east Asia. The diffuse nature of this disease with associated inflammation and scarring of the vessel make revascularisation difficult. We report a case of Takayasu arteritis in which a successful bilateral common carotid stenting was done in a single sitting. 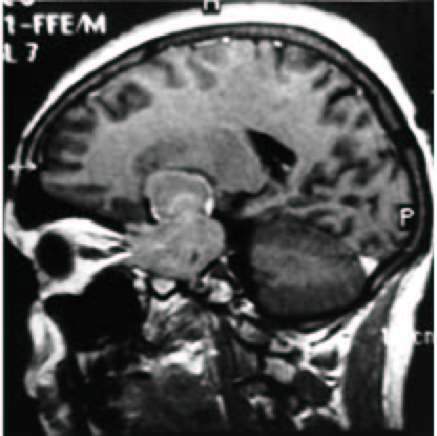 A child with a right parieto-occipital astrocytoma, caped by a large acute pyogenic abscess with flimsy capsule, detected at emergency craniotomy, is presented. Patient succumbed to the disease three hours following surgery. An extradural haematoma contralateral to impact site is reported. Review of literature reveals that such phenomenon is extremely rare. Use of Albendazole therapy for the treatment of patients having persisting intracranial solitary cysticercus granuloma is controversial. Most of the times these patients are treated empirically with variety of drugs for variable period. Some authors advocate biopsy before definitive treatment. 25 patients having radiologicaly persistent solitary cysticercus granuloma (>6 months) were given 15 days course of oral albendazole (15 mg/kg body wt). 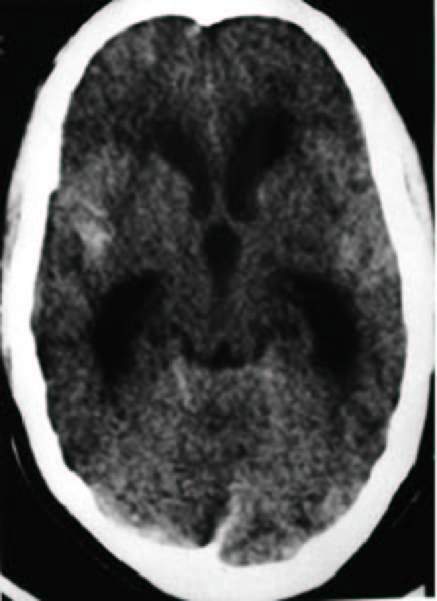 Cranial CT scan was repeated one month after the completion of albendazole therapy. It was evaluated for complete resolution, partial response (> 50% decrease in size of lesion) or no change as compared to previous scan. 12 patients (48%) showed complete resolution, 4 patients (16%) showed a partial response, while 9 patients (36%) did not show any change on follow up. Albendazole therapy may be useful for patients having persistent cysticercus granuloma. 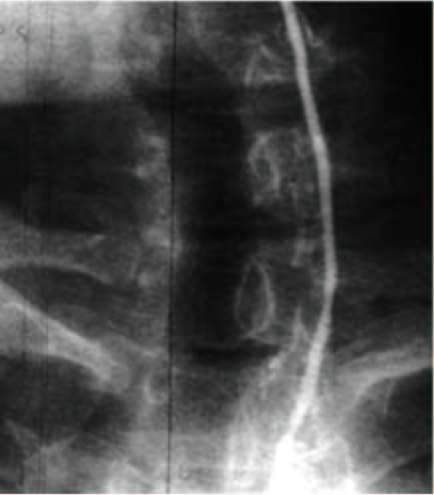 A 55 year old man presented with features of cauda equina syndrome. 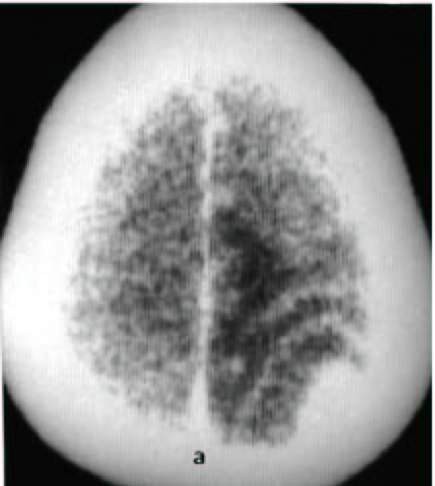 Magnetic resonance imaging (MRI) showed a well demarcated intradural extramedullary tumour at L2 vertebra. At surgery it was found to be well encapsulated and had no attachment to spinal cord or root. Histopathology including immunohistochemistry confirmed it to be a low grade astrocytoma.